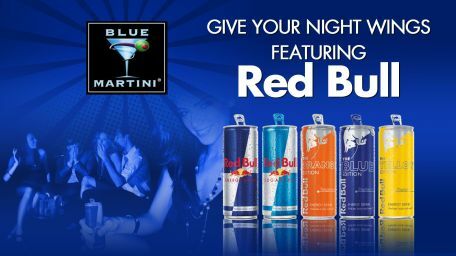 We think it's time you add a little Blue to your nightlife! 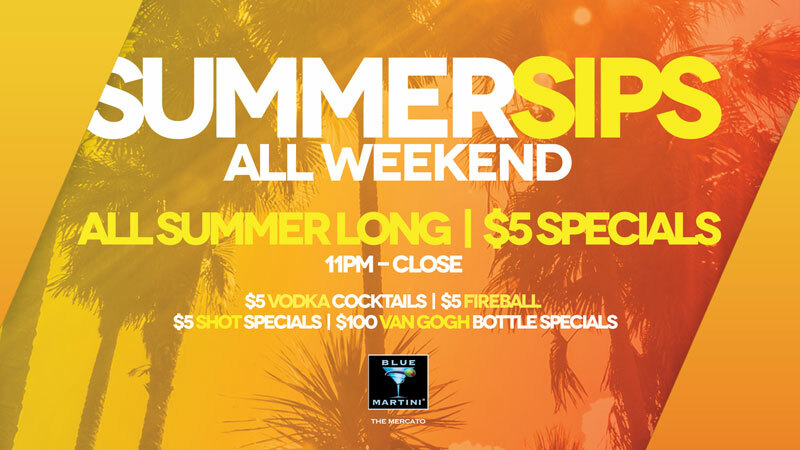 Join Blue Martini Naples for all night, every night excitement and we promise to put some pep back in your step. 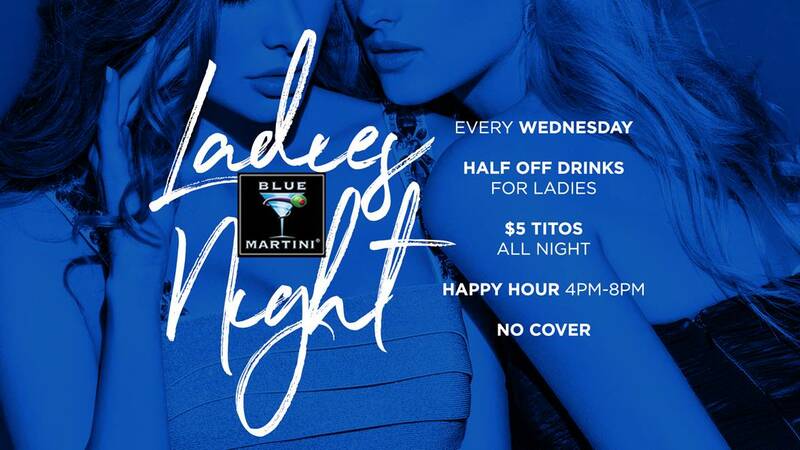 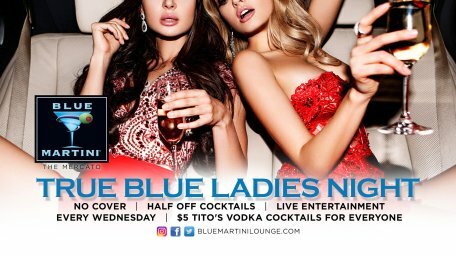 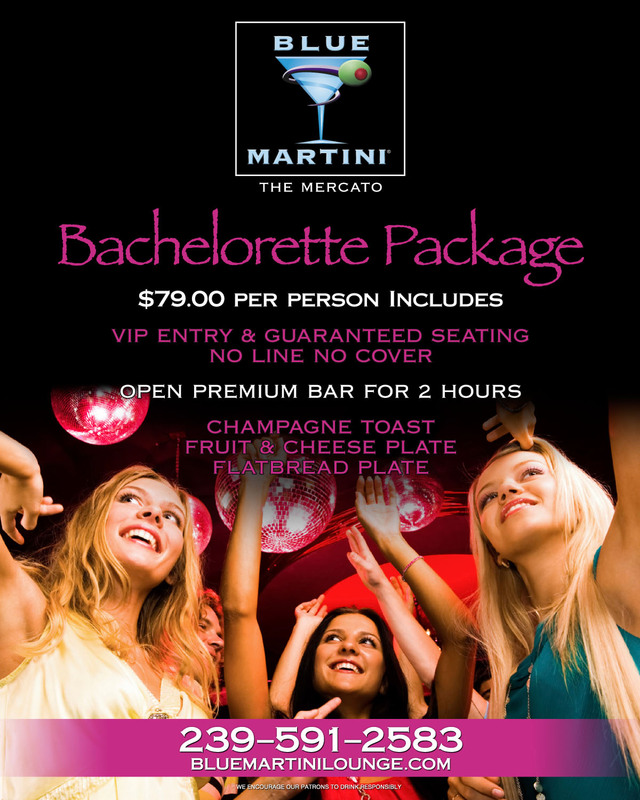 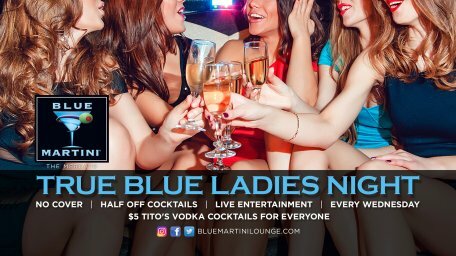 Offering nightly drink specials, Live Entertainment and themed nights such as "Girls Night Out Wednesdays," Blue Martini Naples is the party for you. 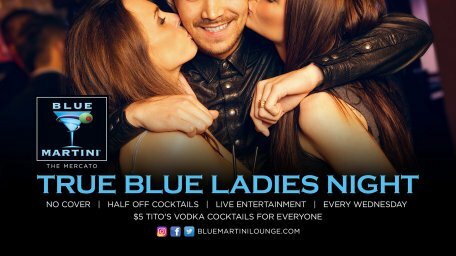 Ladies, become a True Blue Lady member and receive a complimentary cocktail before 9pm every day of the week. 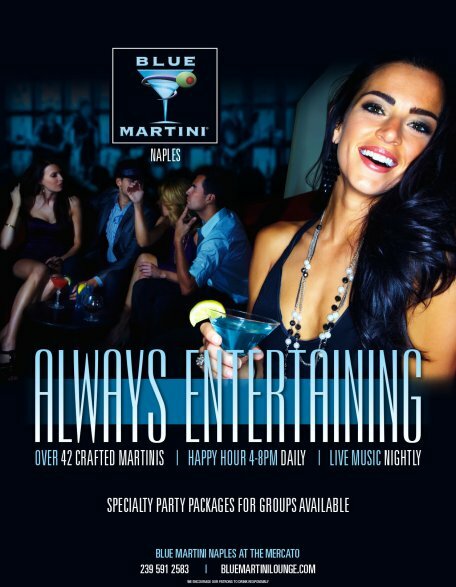 Join us for the best happy hour in Naples. 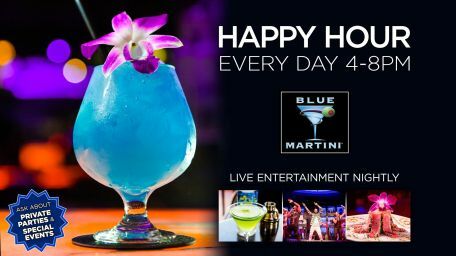 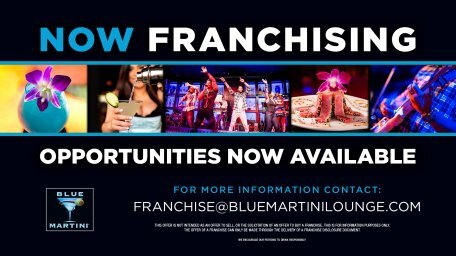 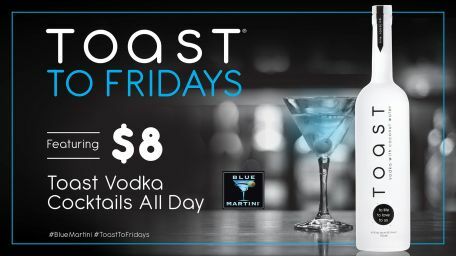 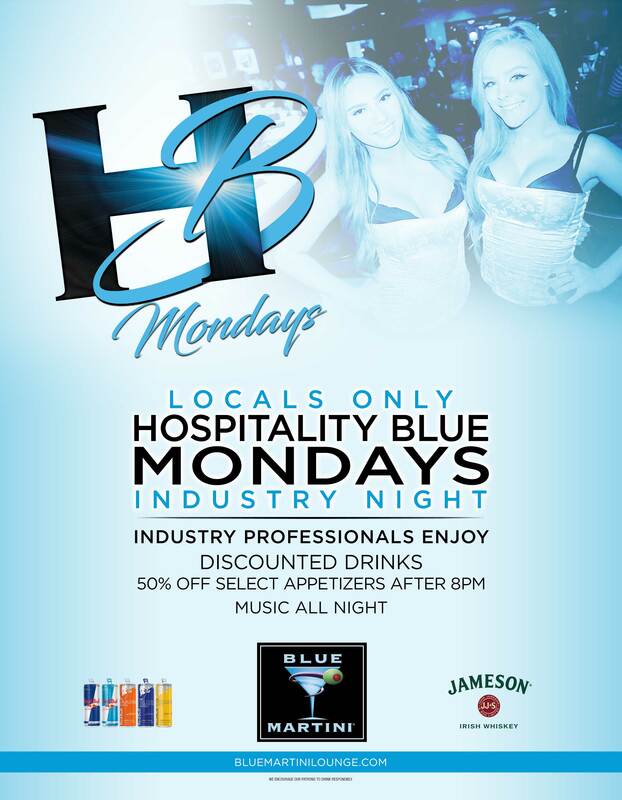 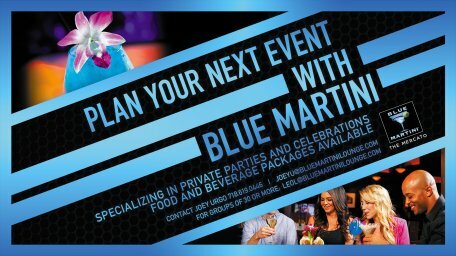 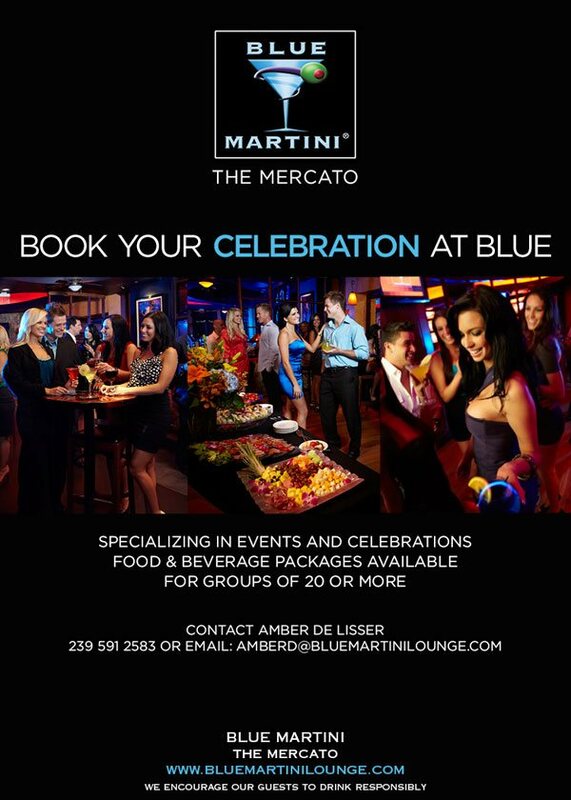 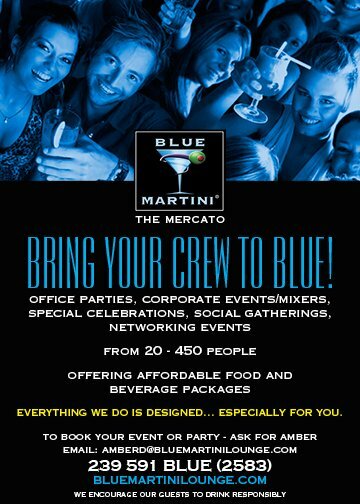 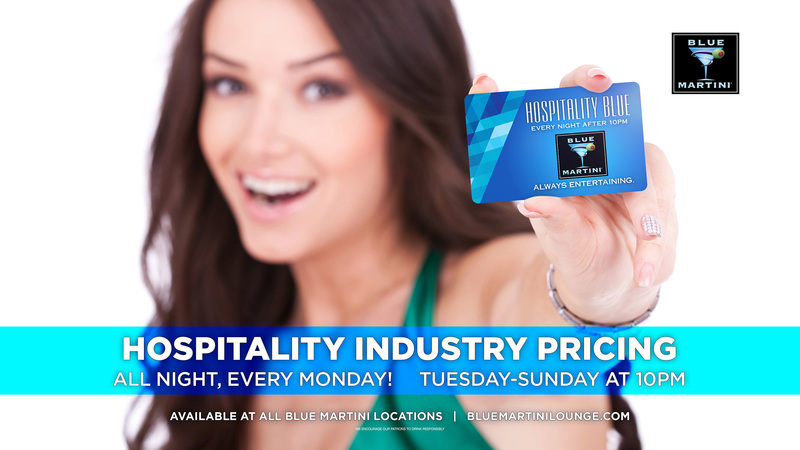 Blue Martini Happy Hour Daily Featuring discounted beverages and food from 4pm-8pm.